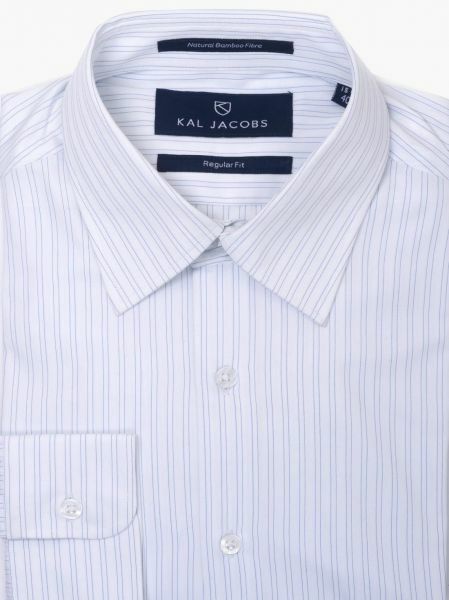 This Tailored Fit White & Blue Striped Bamboo shirt will easily take you from your desk straight to lunch or dinner looking stylish and refined. Made from Organic Bamboo Fabric this shirt is a pleasure to wear with its smooth and lightweight feel against your skin. This Tailored Fit Multi-Check Bamboo Shirt is cut from Organic Bamboo fabric and is designed for those relaxing weekends and laid back occasions. It features a soft Button-Down collar and a tailored fit. Designed for effortless movement, this shirt will see you through your days in style and comfort.